Are you new to the world of Pilates, or do you have several years of experience under your belt and want to fine-tune a few elements of your form? If so, enrolling in a private Pilates Session may be just what you need. 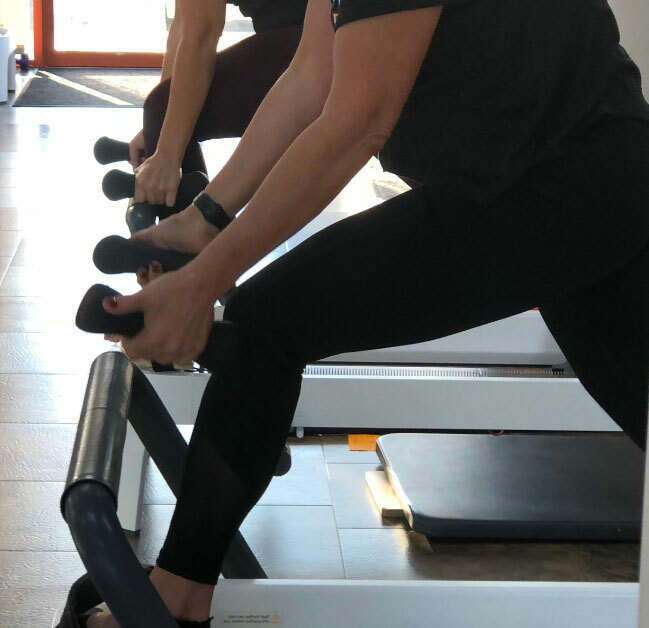 At CORE10 Pilates in Omaha, our motivational trainers provide fun, music-driven instruction appropriate for all skill levels, and we’d love to meet you. We offer group classes as well as private sessions, and in today’s post, we’ll review a few benefits of booking a private workout with one of our trainers. Read on to learn more and then book your class today! As with any type of exercise, proper form is critical to getting the most out of your Pilates instruction. In a group session, there is typically one Pilates instructor leading a class of individuals, which may not always lend itself to the type of individualized instruction and supervision some people crave. If you prefer more detailed instruction and close supervision that comes with a one-on-one session with an expert instructor, a private Pilates session may be best for you. In a private session, you get the benefit of your instructor’s undivided time and attention. This allows him or her to monitor your movements and suggest specific changes when necessary in order to help you get the most out of your workout. Thanks to this detailed instruction and supervision, you are more likely to improve your form and technique quicker than you would in a group setting, allowing you to fine-tune your movements, improve your core muscle strength, and advance quicker than you would otherwise. If you have never participated in a Pilates class, it is easy to feel intimidated when you walk into the studio and see people who have been practicing for years. For some, this intimidation can pose a real stumbling block to concentration and effort as the tendency to compare oneself to others can be very strong. When you book a private Pilates session, you don’t have to worry about what other class members are thinking of your form or inexperience, allowing you to fully immerse yourself in the instruction without distraction. As you are practicing Pilates, there will be times when you have questions about a specific technique, even if you are more advanced in your skillset. When you are working out in a group setting, there may not always be time for questions, or you may feel uncomfortable asking your questions in front of others. When you have the undivided attention of a private Pilates instructor, you may feel more comfortable asking various questions about form and technique, allowing you a deeper understanding of each Pilates move. Are you ready to take your Pilates workout to the next level? The experienced instructors at CORE10 Pilates in Omaha are here to help you. Our mission is to deliver the best possible workout in the shortest amount of time. From beginners classes to private Pilates sessions, you’ll find the right class for you at our studio. Call 402-253-0238 today to learn more, or sign up for your free intro class today!